Everyone is madly in love with him – everyone but me, it seems. I’ve tried, but besides The Fault in Our Stars, I just can’t seem to connect with his stories. Our literary relationship got off to a rough start about two years ago when I tried to read An Abundance of Katherines. I had never read any of his books before & since they’re so wildly popular (not to mention we practically live in the same city), I decided to give them a shot. I really didn’t know where to start, and The Fault in Our Stars had a long holds list, so I went with An Abundance of Katherines because the synopsis sounded fun: road trips, comedy, love and friendship. It started off ok, then the footnotes began. I absolutely cannot stand footnotes in a fiction title. It breaks up the story, disrupts my connection with the characters and even when I try to ignore them, there they are – glaring at me from the bottom of the page, begging to be read. It was painful to read the whole book this way and made me shy away from trying another John Green title for a very long time. Then I read The Fault in Our Stars and loved it. Maybe it was the Indianapolis connection, but I could picture everything in my head, where it was taking place and really liked both of the main characters. It was emotional and I even had to finish the book at home so I wouldn’t return from my lunch break with tears streaming down my face. For a little over 300 pages, I was convinced this was the book to make me a rabid fan and I’d connect with the rest of his books on the same level. Sadly, I was wrong. I tried Looking for Alaska next – it was the one everyone recommended that I read and it won a Printz Award for excellence in young adult literature in 2006. The beginning was fine, but by the middle of the book I was bored, disliked all the characters and just simply couldn’t relate to any of them. I eventually finished it and was extremely disappointed with the story after having high hopes that I’d love this one as much as TFIOS. Recently, I finished Paper Towns. I didn’t love it either. Just like the others, it started off decent enough but after about 50 pages boredom set in and I found myself avoiding the book altogether. My library has picked it as the young adult selection for our community read this fall and no doubt it will be popular with the teens because it has John Green’s name on it, but unfortunately it just wasn’t for me. I have yet to put my finger on exactly what it is about John Green that I don’t like. It’s not the writing – that’s definitely a strong characteristic of each of his books. Maybe it’s that my own adolescence was never anything like what his characters go through that makes the stories so unrelatable for me. Or maybe I’m outgrowing the YA genre and looking for stories that don’t involve teenagers trying to find themselves and where they fit in in the world. Despite all this, I’m going to keep trying to read his books and still have Will Grayson, Will Grayson on my list. I’m told (yet again) that I will most definitely love that one. We’ll see. I agree with you! I loved TFIOS, struggled through Looking for Alaska, couldn’t get through An Abundance of Katherines. I did not hate Paper a Towns, as you state, the writing is really good. There is just something…missing. And I really enjoy the genre (still). There are lots of titles I’ve really loved… So much more. So, turns out, you are not alone. I’m with you! 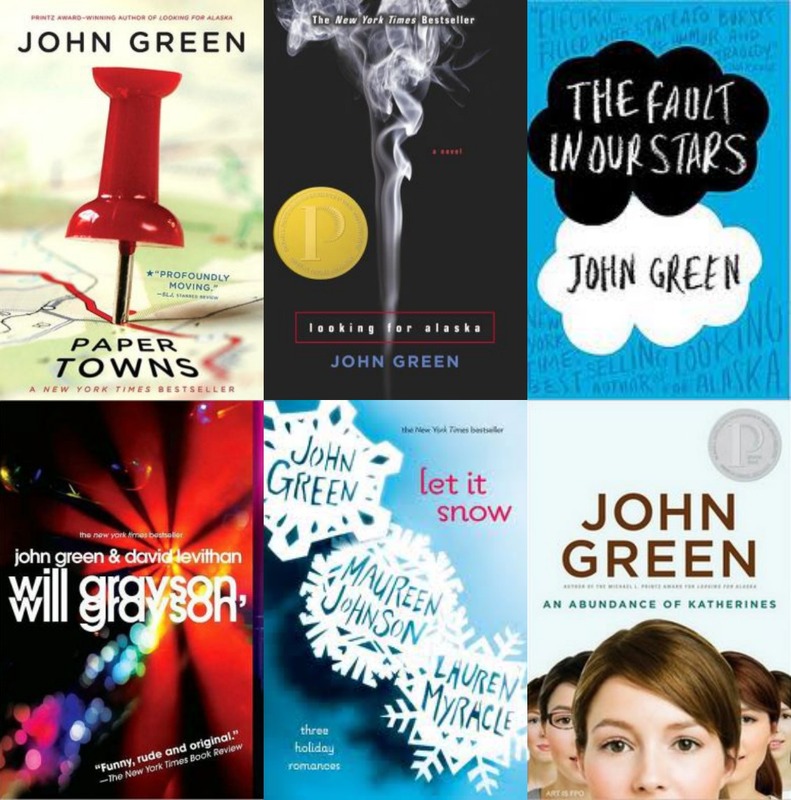 I really enjoyed TFIOS but An Abundance of Katherines and Paper Towns didn’t really impress me. I didn’t hate them…I was just a bit bored by them? Glad to see that I’m not alone!